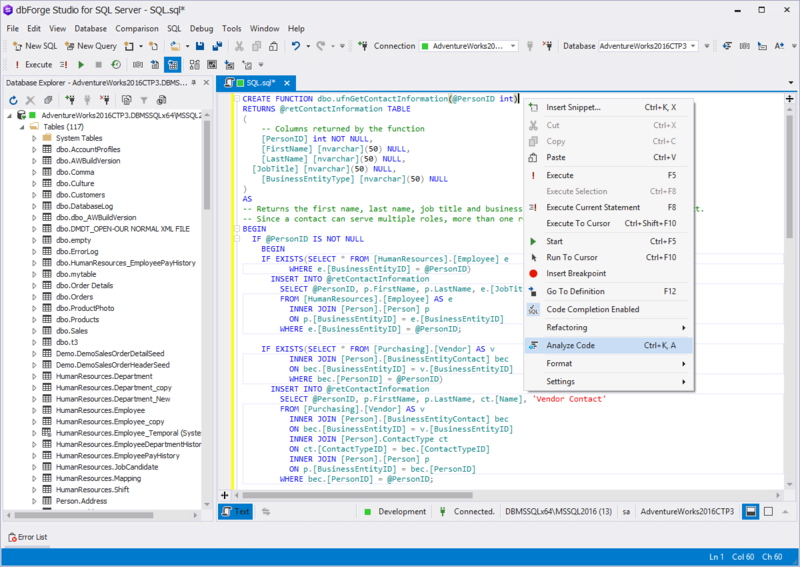 dbForge Studio for SQL Server provides a fast and automated way to improve quality of your code. 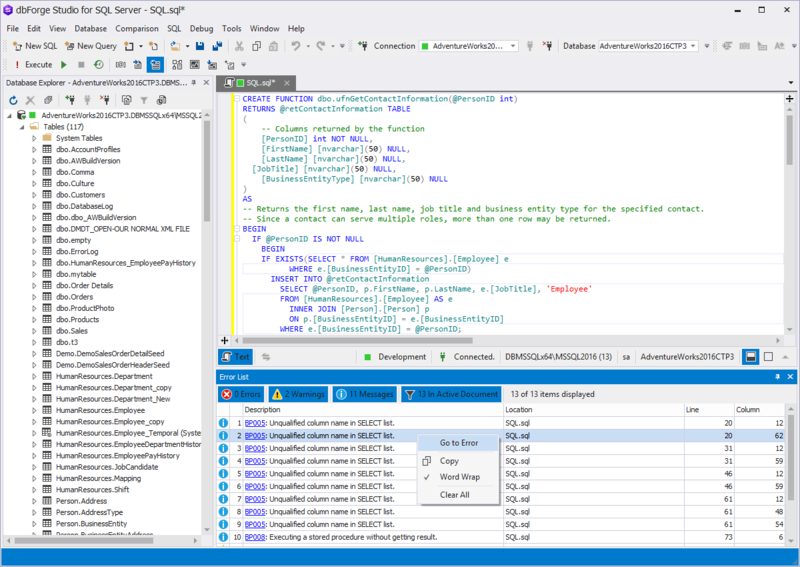 With help of T-SQL Analyzer, you can eliminate potential design and naming problems and avoid performance pitfalls by analyzing your T-SQL code. Open the database instance, containing the code you want to analyze. Right-click anywhere on the document, and then select Analyze Code from the shortcut menu. Alternatively, on the Text toolbar, click the Analyze Code button. When code in the database instance is analyzed, warnings and errors, if any, will appear in the Error List. To determine the error or warning location within the code, right-click the error or warning, and then select Go to Error from the shortcut menu. 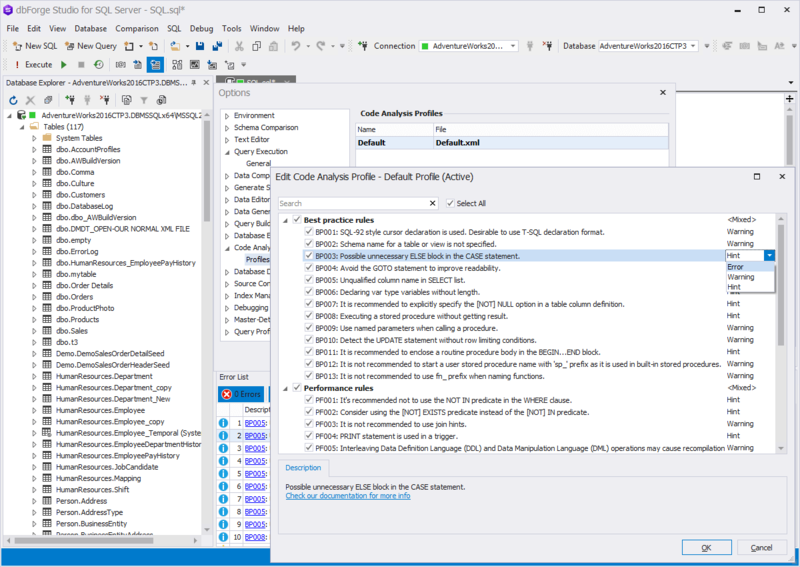 To configure different sets of code analysis rules, run a smaller set of rules, or create your own rules, go to the Tools menu, select Options, and then click Code Analysis.